Our communities in and around Eugene and Springfield offer some of the finest places to call home. Whether you prefer the center of it all in downtown Eugene, or close-knit communities like River Road and Santa Clara, or rural property found in Coburg, Venita, and South Lane County, there is something here for everyone. Today Bethel Danebo is a popular destination for Eugene Oregon home buyers, with great access to local recreation and strong community programs. A small town of just over 1,000 people, the Coburg downtown area features a National Historic District with several historic homes that give the city its charm. The small, peaceful town of Cottage Grove boasts historic architecture and is a twice recognized "All-American City". Creswell Oregon is nicknamed “The Friendly City” and draws residents looking for a serene and peaceful setting to call home. 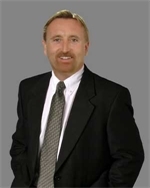 East Eugene is home to the University of Oregon and features some of the finest real estate in Eugene Oregon. The Ferry Street Bridge community is located in the heart of Eugene Oregon, making it one of the most desired areas for Eugene Oregon real estate. Junction City has a growing business community fueled by agriculture and farming, and offers a diverse selection of homes from country estates to condos. Tucked along the McKenzie River are a number of beautiful and charming communities offering something for nearly everyone who loves the outdoors. One of the most popular areas for newer construction, North Gilham residents have seen their area and property values grow over the years. Pleasant Hill Oregon is noted for its rural real estate, and is aptly named for its overall beauty and community. The River Road neighborhood is a vibrant community located along the west bank of the Willamette River. The Santa Clara neighborhood in Eugene Oregon offers residents several real estate options, from established neighborhoods to new construction. 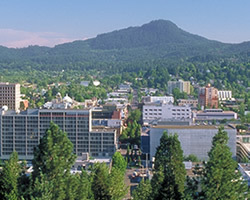 Springfield Oregon is a smaller community with a cost effective, community-centered environment. The desirable Thurston residential neighborhood is the easternmost section of Springfield, Oregon bordered chiefly by Oregon Route 126 and by Main Street which leads east from downtown. Rural property only minutes from Eugene Oregon, Veneta and Elmira offer real estate buyers scenic beauty and easy access to numerous recreational possibilities.